The New Jersey Pennysaver provides businesses and individual service provides the tools and technology to maximize their return on effort and investment. Why be concerned about marketing? Marketing is the process by which companies determine what products or services may be of interest to customers, and the strategy to use in sales, communications and business development. It is an integrated process through which companies create value for customers and build strong customer relationships in order to capture value from customers in return. Marketing is used to identify the customer, to keep the customer, and to satisfy the customer. With the customer as the focus of its activities, it can be concluded that marketing management is one of the major components of business management. The adoption of marketing strategies requires businesses to shift their focus from production to the perceived needs and wants of their customers as the means of staying profitable. 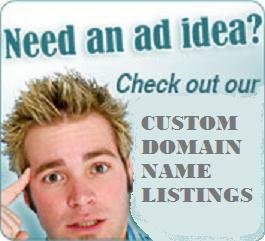 Advertising in New Jersey and building your brand recognition is what we are all about. The Pennysaver is one of the most powerful, trusted community brands itself in New Jersey and in thousands of local communities in the United States. We are sought after as well as delivered for free to the homes of those that have come to rely on the Pennysaver for local community announcements, business directory listings and consumer freebies. Let the New Jersey Pennysaver work hard to deliver the results you need!